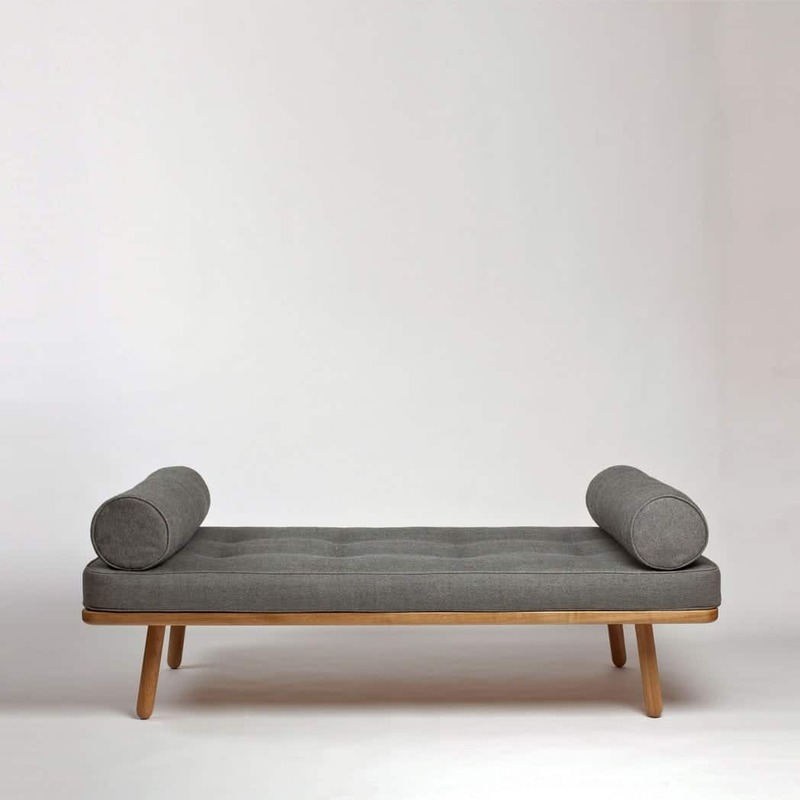 When we launched our Day Bed One in 2010 we ushered in a renaissance of this item of furniture and five years later our latest Day Bed Four follows in that tradition. 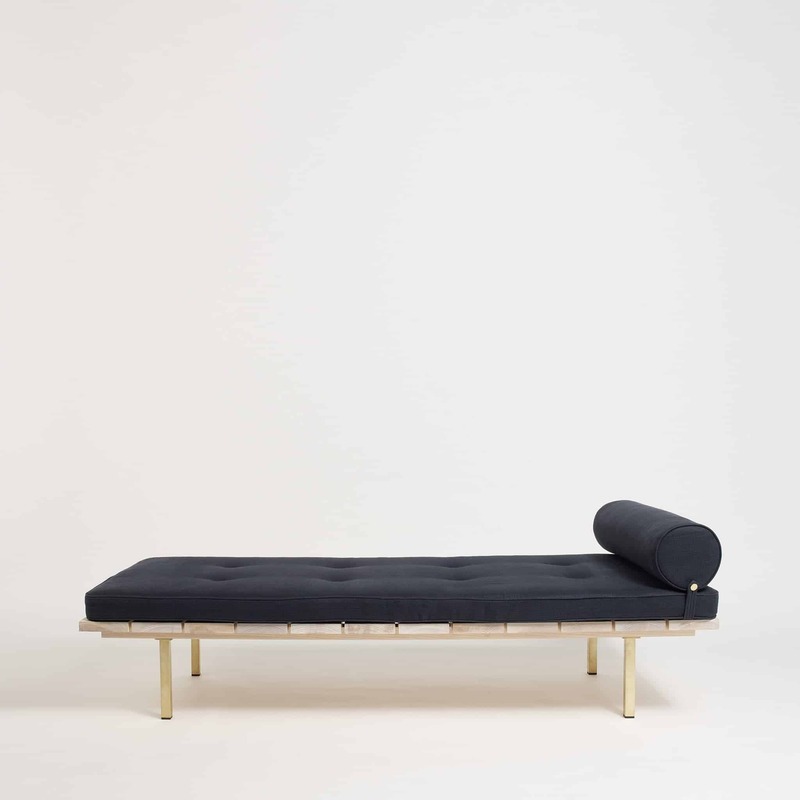 A day bed is hugely versatile; employ it as a temporary put me up, a seat, a work station, a nap station or a reading station, or place in a gallery as the perfect art watching perch. 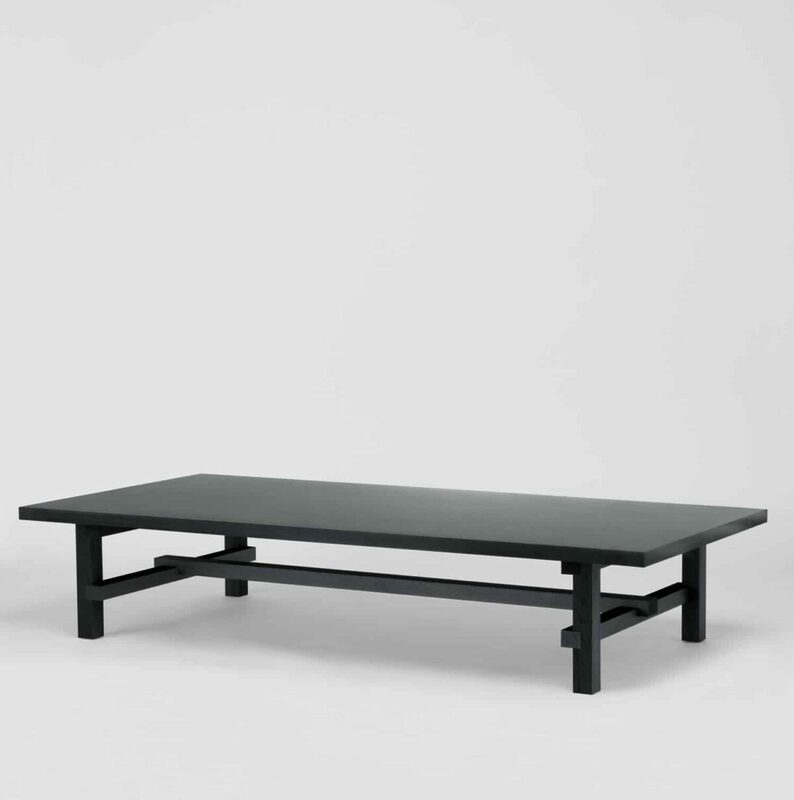 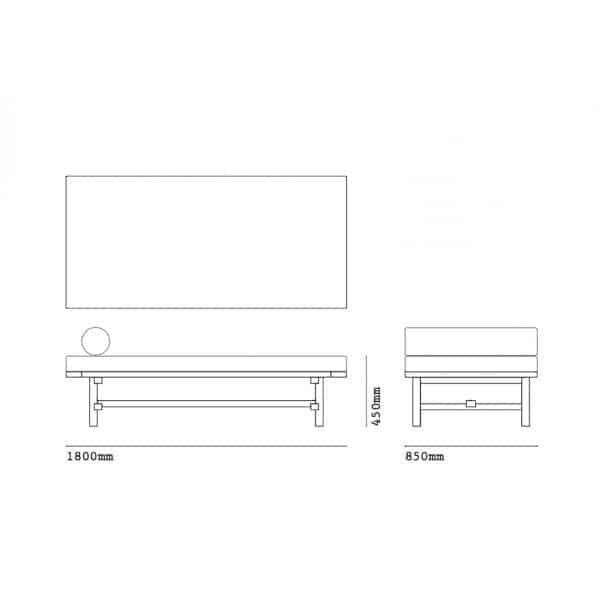 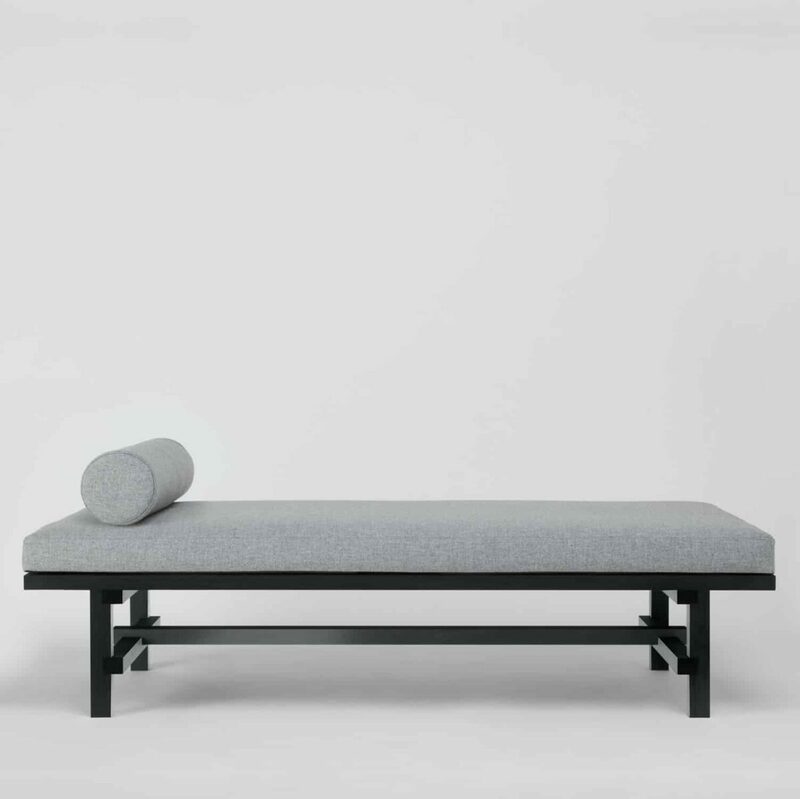 Day Bed Four is characterised by strong, architectural lines and combines English and Dutch construction and design details, with cleated ends and Rietveld- inspired leg detailing. 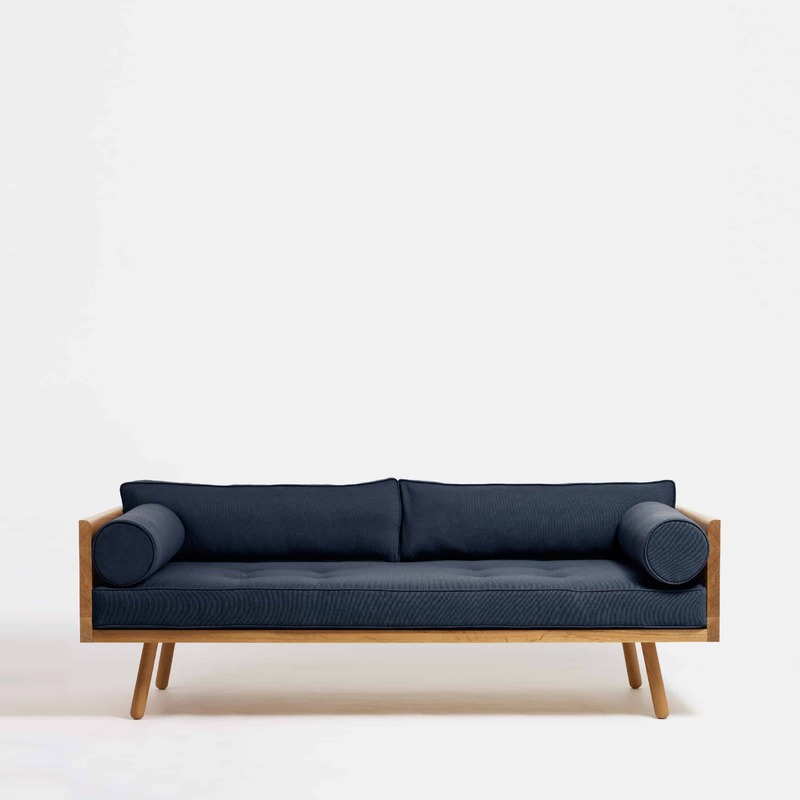 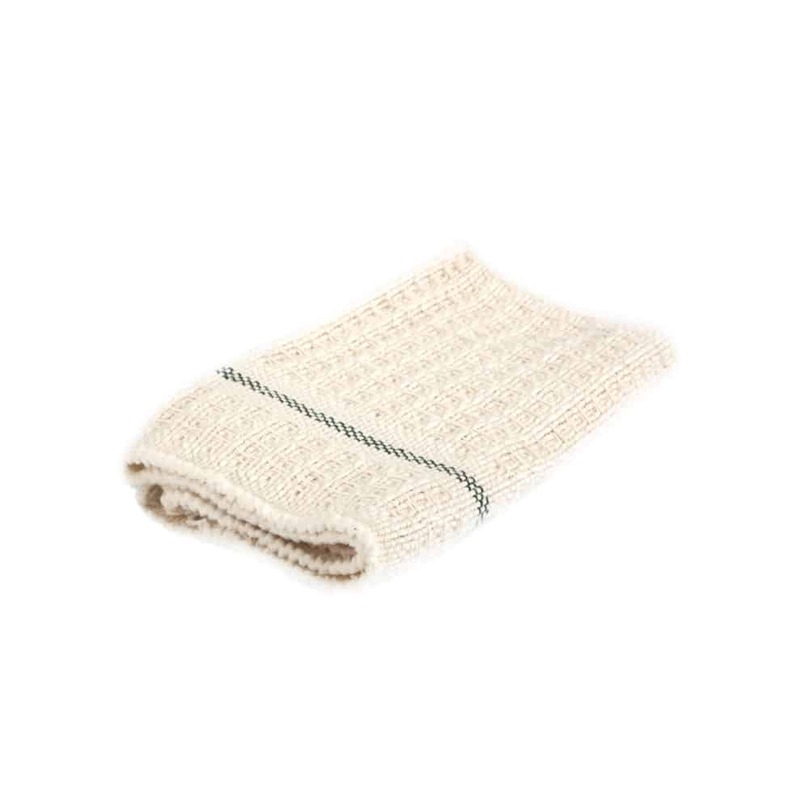 The mattress (which, unlike its Series One and Two siblings is not piped and has no buttons) is produced by Naturalmat in Devon from organically certified & sustainable materials, and upholstered in Kvadrat Tonica fabric.